WCS is looking to do several building projects over the next few years without raising taxes. Click the title to learn more. As of Friday, February 22nd, Wabash City Schools has missed 7 days due to weather related issues. 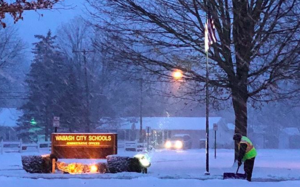 On December 3rd, the Wabash City Schools' Board of School Trustees approved the 2019-2020 school calendar. The calendar can be found on the district webpage under Resources. 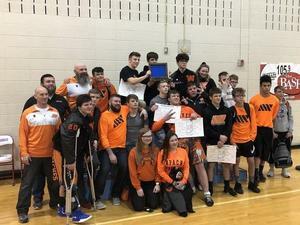 Wabash High School wrestlers are the 2018 Wabash County Champions. 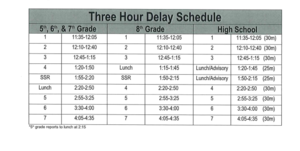 Due to the road conditions, Wabash City Schools will be operating under a 3 hour delay schedule for Wednesday, February 20th. Due to the projected wind chill temperatures in the morning, Wabash City Schools will be operating on a 3-hour delay for Monday, January 21st. WCS administrators and Spanish Dual Language Immersion faculty traveled to Albuquerque, New Mexico to learn from national leaders in dual language immersion. Online Registration in Skyward from July 9th-22nd. If you do not register, your student won't ride the bus the first day. Log into your parent/guardian account, not your student's account. To reset your password click "Forgot your Login/Password?" 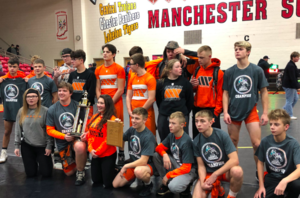 or email Heather Owens at owensh@apaches.k12.in.us Click "Read Full Story" for more details. Please help us in our mission to become the premiere school district in Indiana by filling out our survey.